"Among the observers, there are representatives of the government and non-government sector. They were sent there with all the rules. It is a pity that some political forces in Ukraine questioned their status," Kalandadze said. She said the Ukrainian Central Election Commission asked yesterday law enforcement agencies to re-check the lists of observers provided by the Georgian Embassy in Kiev. 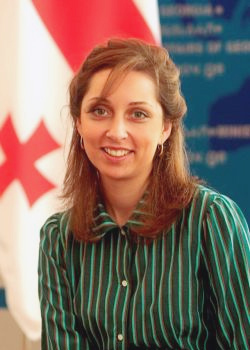 Kalandadze expressed hope that the Georgian observers will be admitted at least to the second round of the presidential elections. "We welcome any fair and democratic choice of the Ukrainian people," she said. She also addressed the physical attacks against Georgian journalists in Ukraine and called them "unpleasant and offensive." She doesn't rule out that the Georgia will demand an official explanation of the matter.